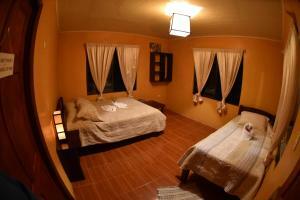 ﻿ Best Price on Cabinas Las Nubes in Bijagua De Upala + Reviews! 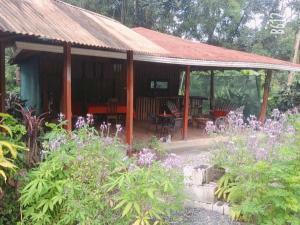 Located in Bijagua, 30 miles from Rio Celeste Waterfall, Cabinas Las Nubes has a shared lounge. This 1-star hotel offers free WiFi. The property has karaoke and a shared kitchen. The rooms in the hotel are equipped with a TV. Each room has a private bathroom. Liberia Airport is 54 miles away. Staff and personel are available until 18:00 pm. Please inform Cabinas las nubes in advance of your expected arrival time. You can use the Special Requests box when booking, or contact the property directly with the contact details provided in your confirmation.